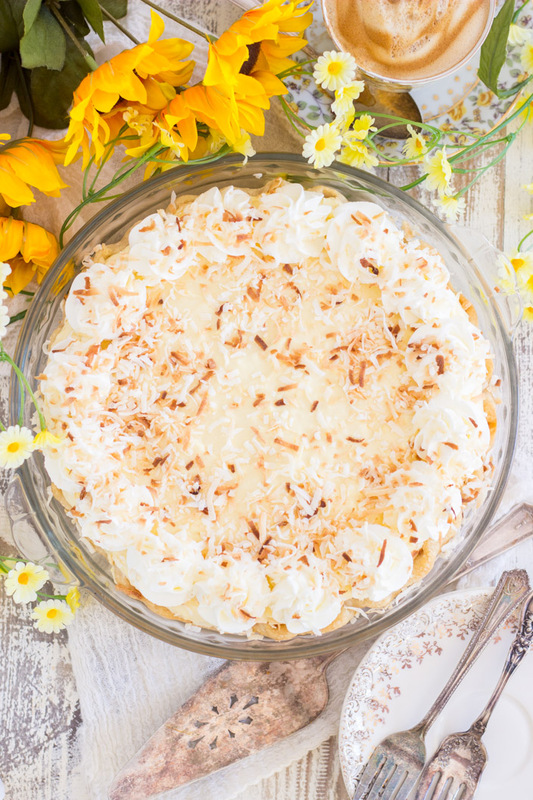 This quick & easy No Bake Coconut Cream Pie is so light, fluffy, and creamy! It’s also a mile-high! You can prep this easy Coconut Cream Pie in minutes, avoiding long, hot days in the kitchen. To easily view all the blog recipes, follow along on Pinterest! Hey hey! It’s been a little while. Maybe the longest break I’ve ever taken, and unplanned, as usual. I have a lot to share, so let’s jump right in. 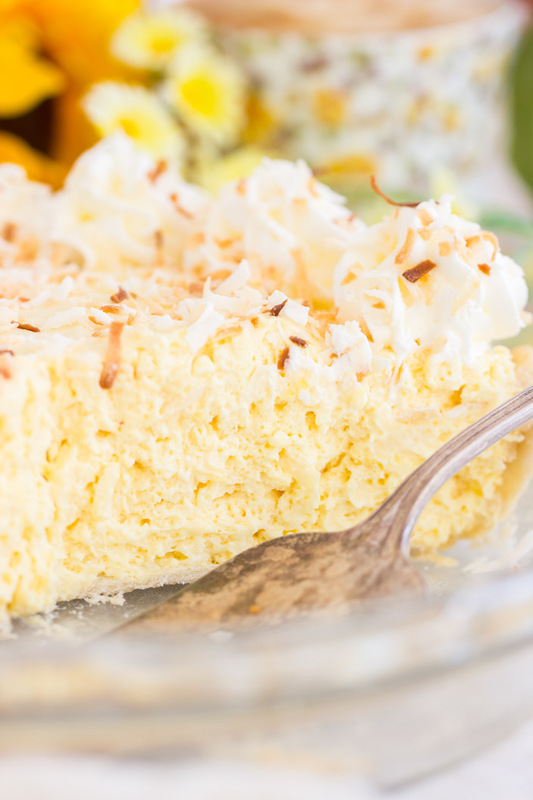 This is a No Bake Coconut Cream Pie… except for the crust. I used a store-bought pastry crust that needed baked, and I baked it (instructions included in recipe card below!). 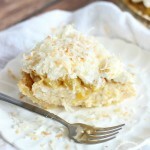 BUT, to make this easy Coconut Cream Pie a ‘no bake’ through and through, then just pick up a prepared pie shell. Simple as that. 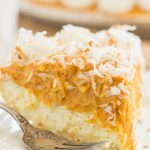 This No Bake Coconut Cream Pie is a pudding pie technically. It just does not taste like a pudding pie though. I love pudding pies, don’t get me wrong, but this tastes much fancier and more luxurious than an easy pudding pie. It only requires a few ingredients, and takes about 5 minutes to prep. Its impact is sooo much more than a basic, easy, prepped-in-minutes pudding pie. 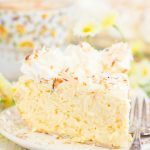 The texture of this easy Coconut Cream Pie is so light, fluffy, and creamy, and a bit mousse-y. I used coconut cream pudding mix, not vanilla pudding mix, and that helps to amplify the coconut in this pie. It’s also a mile-high. I love a really tall pie, and this delivers. When my S.O. 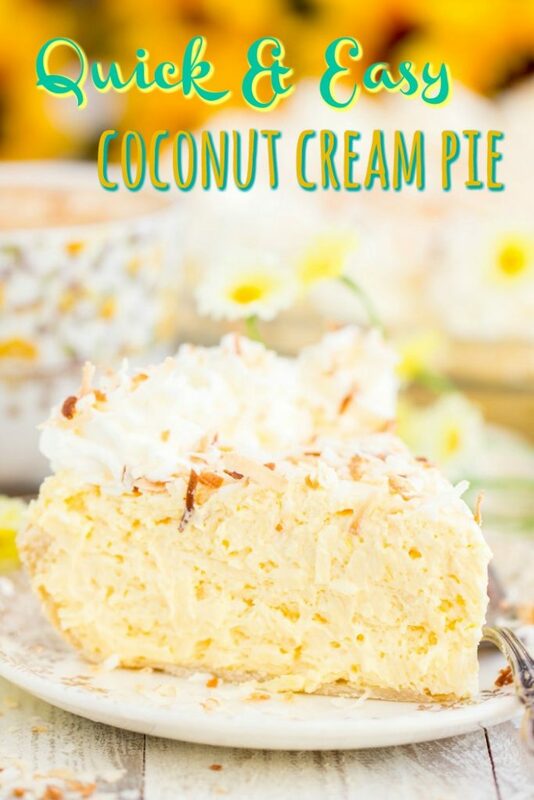 tried it, he said: “Wow, this is hands-down the best Coconut Cream Pie I’ve ever had.” I have no idea how many Coconut Cream Pies he’s tried in his lifetime though. Still, if it stood out as the BEST one he’s ever had, then it’s got to be good. I adored it myself. 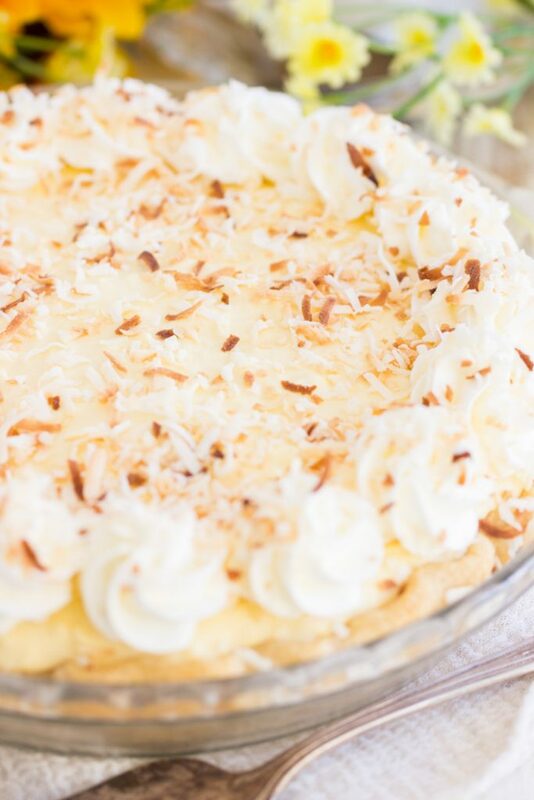 I’ve made a Chocolate Coconut Cream Pudding Pie in the past, but the chocolate made that pretty different, and he’s tried this Millionaire Pie (Piña Colada Pie), which has a lot of coconut in it, so that’s a few, at least. His mother makes a pretty mean Coconut Cream Pie, but yeah, I don’t know that he’s an absolute expert. 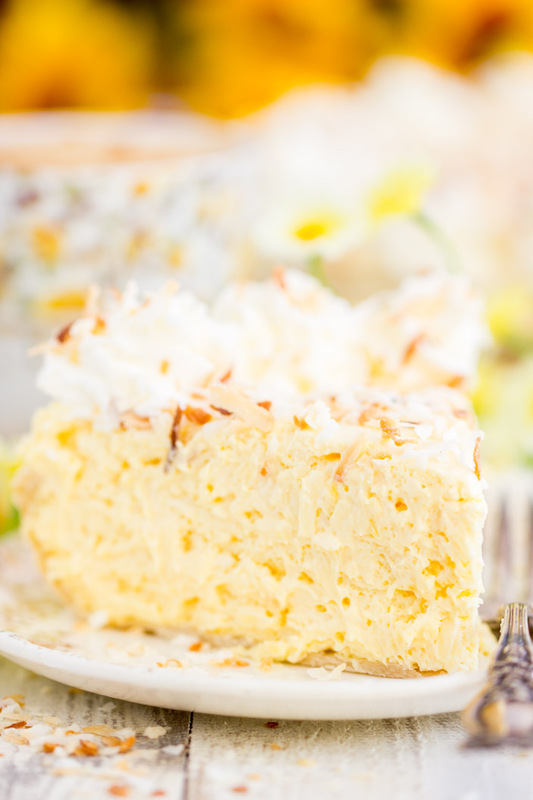 Nevertheless, this Coconut Cream Pie is a gem of a recipe. Especially for summer. You won’t spend a lot of time in a hot kitchen! 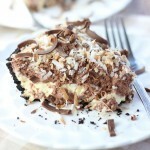 I might have more no bake pies than anything else on the blog. I mean, seriously easy pie recipes. 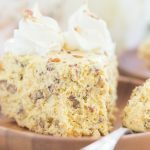 Other than easy Bundt Cake recipes, I probably have the most easy pie recipes! 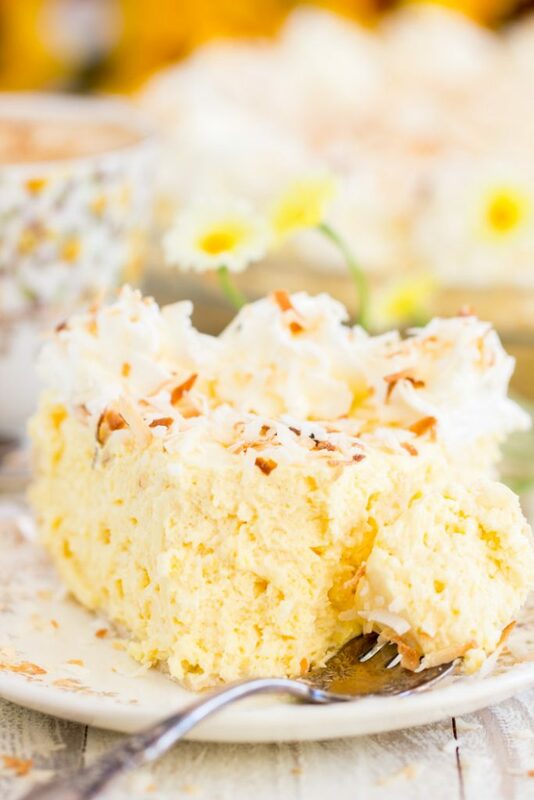 This quick & easy No Bake Coconut Cream Pie is so light, fluffy, and creamy! It's also a mile-high! You can prep it in minutes, avoiding long, hot days in the kitchen. Arrange pie crust in a 9-inch deep dish pie plate, and crimp or scallop the edges. Line the pie crust with foil or parchment paper, and fill with pie weights or dried beans. Bake at 425 degrees for 10-12 minutes, or until edges are browned. Remove from heat, carefully remove parchment and pie weights, and cool completely. In a large bowl, whisk together sweetened condensed milk, milk, pudding mix, and coconut. Refrigerate til set, at least 2 hours. If desired, garnish with additional whipped cream and toasted coconut. Cut and serve. Mine did not get thick like the picture. It was too much like pudding to put in a pie shell. How did you get yours so thick like the picture? Did you double check all the ingredient amounts? 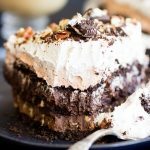 I’ve made this pie a few different flavors, and this is how it turns out! You didn’t make the pudding first, correct? You just mix the dry pudding with the other ingredients….